The best online introduction to data science course is Kirill Eremenko’s “Data Science A-Z.” The course, which has a 4.5-star weighted average rating over 3,071 reviews, is among the highest rated and most reviewed courses of the ones considered. It is the clear winner in terms of breadth and depth of coverage of the data science process. The instructor’s natural teaching ability is frequently praised by reviewers. Udacity’s Intro to Data Analysis covers the data science process cohesively using Python, though it lacks a bit in the modeling aspect. It has a 5-star rating over one review. 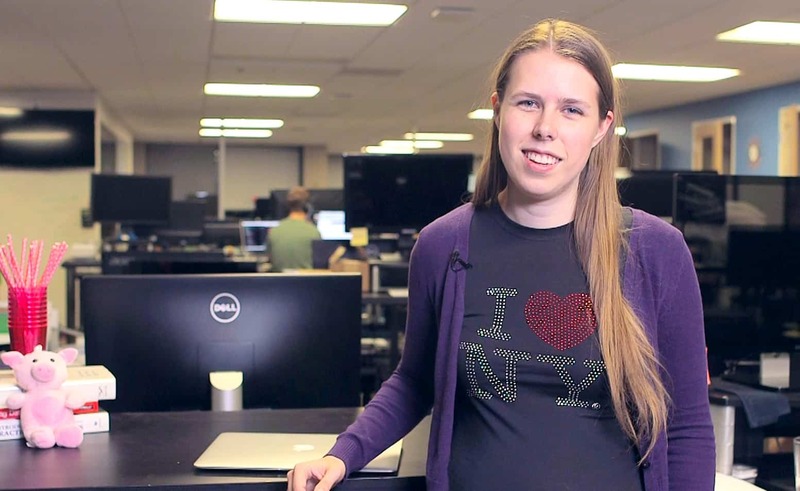 It is relatively new offering that is part of Udacity’s popular Data Analyst Nanodegree. The videos are well-produced and the instructor (Caroline Buckey) is clear and personable. Data Science Fundamentals is a four-course series provided by Big Data University, which is an IBM initiative. 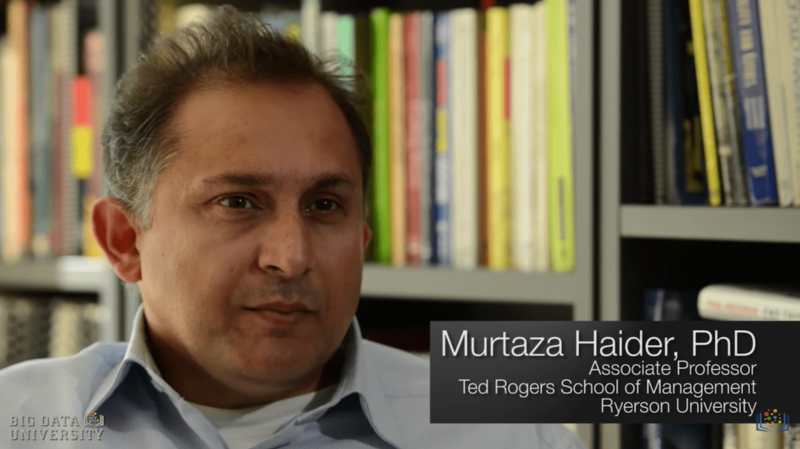 The series covers the full data science process and introduces Python, R, and several other open-source tools. The courses have tremendous production value. Unfortunately, they have no review data on the major review sites that were used for this analysis. Our goal with this introduction to data science course is to become familiar with the data science process. We don’t want to go in-depth coverage of specific aspects of the process, hence the “intro to” portion of the title. For each aspect, the ideal course explains key concepts within the framework of the process, introduces common tools, and provides a few examples (preferably hands-on). We are only looking for an introduction. 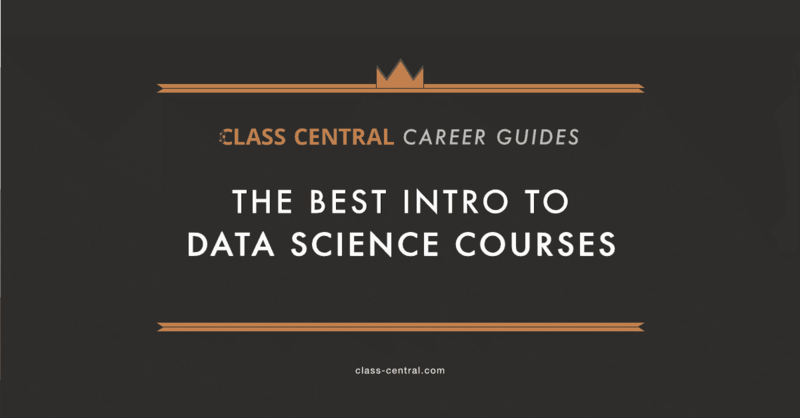 This guide therefore won’t include full specializations or programs like Johns Hopkins University’s Data Science Specialization on Coursera or Udacity’s Data Analyst Nanodegree. These compilations of courses elude the purpose of this series: to find the best individual courses for each subject to comprise a data science education. 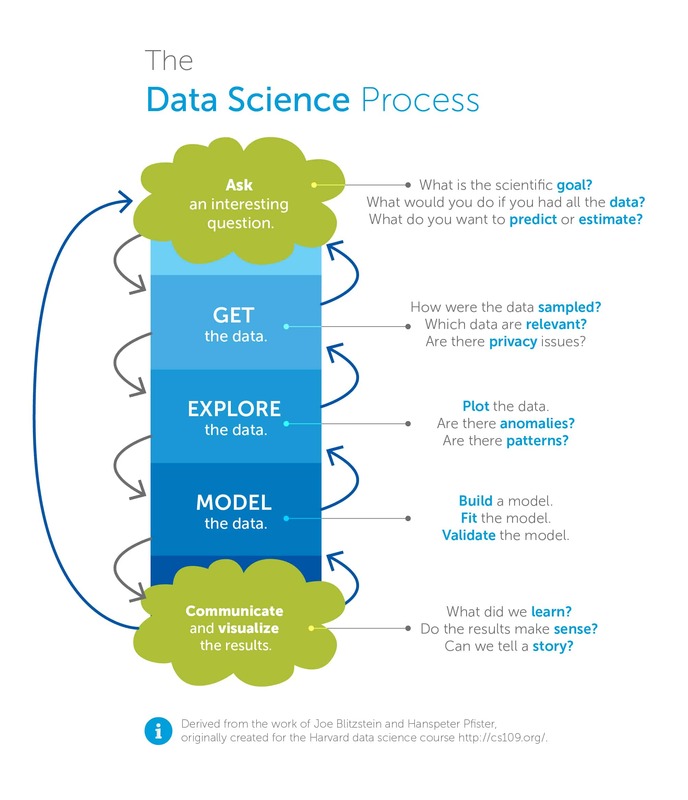 The next guides in the series will cover each aspect of the data science process in detail. Several courses listed below require basic programming, statistics, and probability experience. This requirement is understandable given that the new content is reasonably advanced and that these subjects often have several courses dedicated to them. 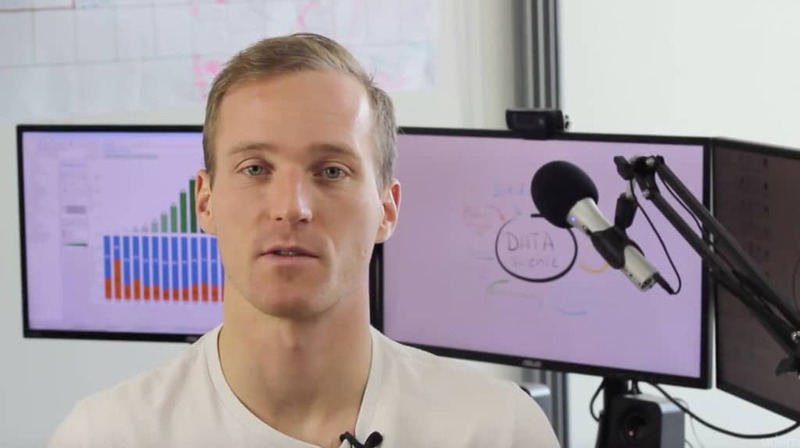 Kirill Eremenko’s “Data Science A-Z” on Udemy is the clear winner in terms of breadth and depth of coverage of the data science process of the 20+ courses that qualified. It has a 4.5-star weighted average rating over 3,071 reviews, which places it among the highest rated and most reviewed courses of the ones considered. It outlines the full process, makes it clear that it can be iterative, and provides real-life examples. Reviewers love the instructor’s delivery and the organization of the content. Or you can do the whole course and set yourself up for an incredible career in Data Science. The choice is yours. Join the class and start learning today! 2: What is Data Science? Link to reviews (bottom of the page). Udacity’s Intro to Data Analysis is a relatively new offering that is part of Udacity’s popular Data Analyst Nanodegree. It covers the data science process clearly and cohesively using Python, though it lacks a bit in the modeling aspect. It has a 5-star rating over one review. The videos are well-produced and the instructor (Caroline Buckey) is clear and personable. Lots of programming quizzes enforce the concepts learned in the videos. Students will leave the course confident in their new and/or improved NumPy and Pandas skills (these are popular Python libraries). The final project, which is graded and reviewed in the Nanodegree but not in the free individual course, can be a nice add to a portfolio. Listed below are the details for the specialization, including each course’s description and syllabus. Estimated timeline: Six weeks at six hours per week (for a total of 36 hours), though it is shorter in my experience. You’ll also learn how to use the Python libraries NumPy, Pandas, and Matplotlib to write code that’s cleaner, more concise, and runs faster. Data Science Fundamentals is a four-course series provided by IBM’s Big Data University. It includes courses titled Data Science 101, Data Science Methodology, Data Science Hands-on with Open Source Tools, and R 101. It covers the full data science process and introduces Python, R, and several other open-source tools. Unfortunately, it has no review data on the major review sites that we used for this analysis, so we can’t recommend it over the above two options yet. The courses have tremendous production value. The 5-hour “R 101” course at the end isn’t necessary for the purpose of this guide. Estimated timeline: 13–18 hours, depending on if you take the “R 101” course at the end, which isn’t necessary for the purpose of this guide. Dust off your lab-coat and stretch out your fingers and get ready for the journey of a lifetime that will have you see the everyday through a new lens. Looking at mundane events becomes interesting from the speed of your windshield wipers wiping off the rain to the rate of plant growth in ditches along highways under different conditions. As the study that leads into all things pertinent to humans in present, this path is a must for all who have even the slightest interest in this field. 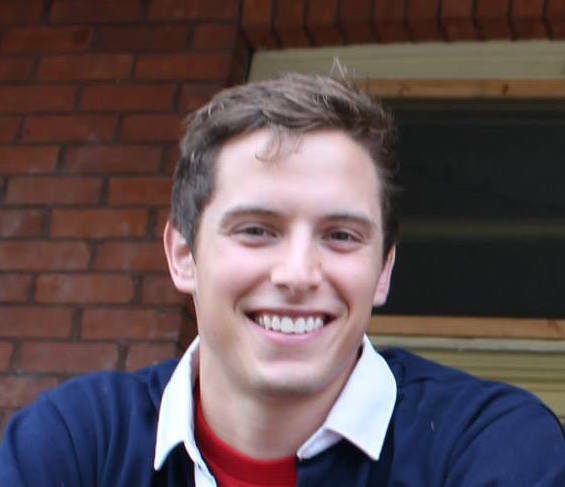 This learning path currently consists of one course that introduces you to Data Science from a practitioner point of view, to courses that discuss topics such as data compilation, preparation and modeling throughout the life-cycle of data science from basic concepts and methodologies to advanced algorithms. It also discusses how to get some practical knowledge with open source tools, and introduces you to one of the most popular programming languages used by data scientists: R.
Module 2: What do data science people do? Data Science and Machine Learning with Python — Hands On! (Frank Kane/Udemy): Partial process coverage. 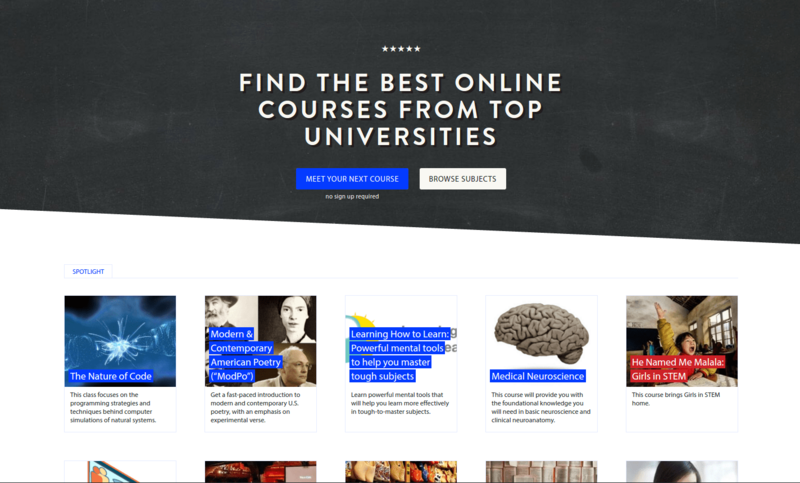 Focuses on statistics and machine learning. Decent length (nine hours of content). Uses Python. It has a 4.5-star weighted average rating over 3,104 reviews. Cost varies depending on Udemy discounts, which are frequent. how can data science be useful for chartered accountants? I have no idea, this website isnt helping learn anything about oncology or anything ive learned in my classes, it is terrible! Do not recommend at all for anybody! !